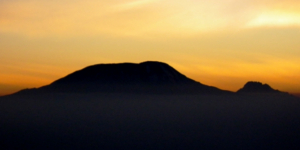 We offer trip options on Kilimanjaro’s Machame, Lemosho, and Rongai Routes. These are fantastic routes with incredible scenery. All three routes are non-technical and offer a great experience for first time climbs at altitude and experienced guests alike. We combine ascents of these routes with a descent of the normal route to complete a loop of the mountain. 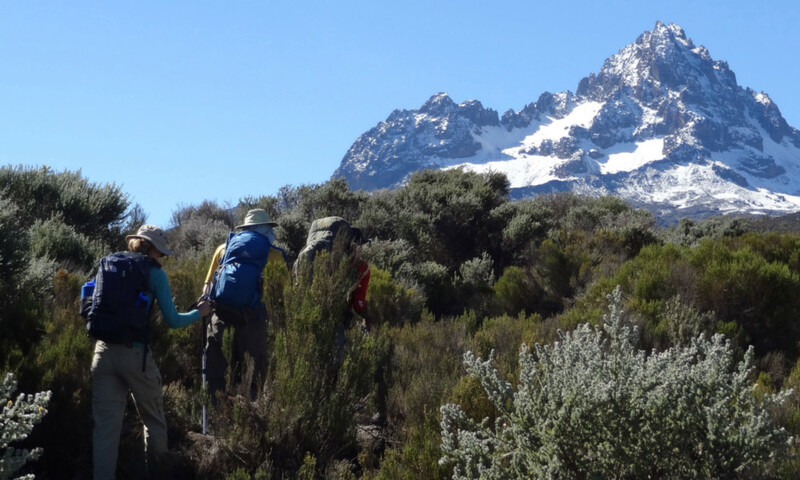 Our itineraries are designed to give participants a positive high altitude experience. We have found that this makes a big difference in being well acclimatized and feeling strong for summit day! 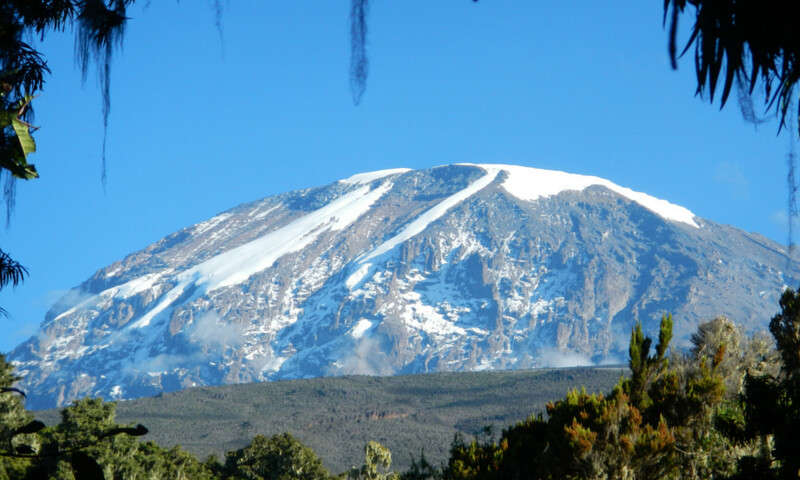 MGI is proud to have a 98% success rate on Kilimanjaro! For more information on each individual route, see the route pages below. MOSHI: All trips begin and end in Moshi. It is an interesting town located close to Kilimanjaro. 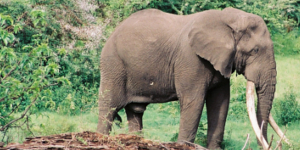 Our itineraries include a rest day after travelling to get to Tanzania. It is a great opportunity to take a tour of the town’s vibrant marketplaces and shops with one of our local guides! 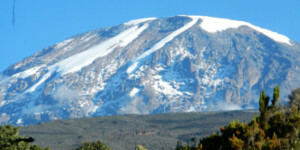 GETTING TO THE MOUNTAINS: We’ll take a van or Land Rover to the park entrance gate for Kilimanjaro. While the guides sort out permitting with the park rangers, guests will enjoy lunch at a nearby picnic area. After permits are sorted we’ll hit the trail and start our ascent of Kilimanjaro! THE MOUNTAIN: Kilimanjaro is an oddity among the mostly flat Tanzanian landscape, it is also highly unique for its five climate zones which we’ll pass through on our way to the summit. 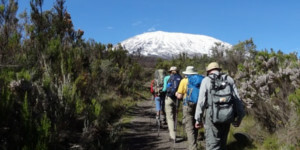 From the rainforest at the start of our climb to walls of glacial ice as we traverse the crater rim to Uhuru Peak, Kilimanjaro offers diverse and exciting scenery each step of the journey. OUR GUIDES: Our leaders are full time mountain professionals who are exemplary guides. They are dedicated to insuring our guests an experience that exceeds their expectations! 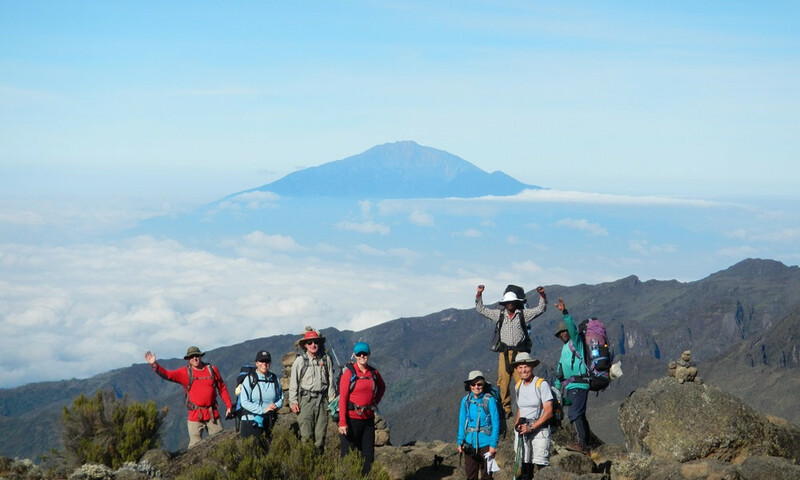 Every Kilimanjaro trip that we lead draws on the experience of more than 20 years of guiding high altitude trips on Denali, Aconcagua, Kilimanjaro, the Volcanoes of Ecuador & Mexico, and high altitude peaks of the Himalayas. 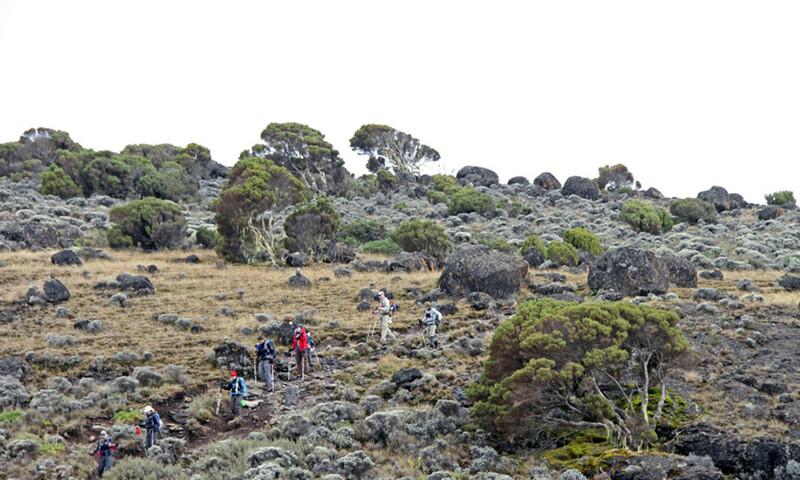 Our Kilimanjaro climbs range in length from 10 – 11 days depending on your route. 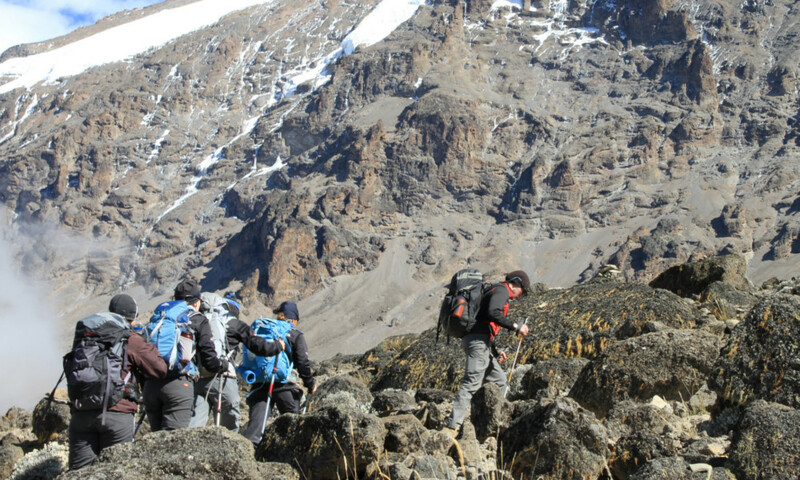 Rongai and Machame routes are both 10 day itineraries, while Lemosho adds an extra day and offers a more gradual ascent of Kilimanjaro. All itineraries factor in travel to Tanzania and a day of rest at the Springlands Hotel. Most travel from western countries is long and tiresome, we’ve found the rest day allows guests to regain their energy and optimizes success on the climb. See the following route pages for a detailed description of each! Every trip consists of American and local guides. 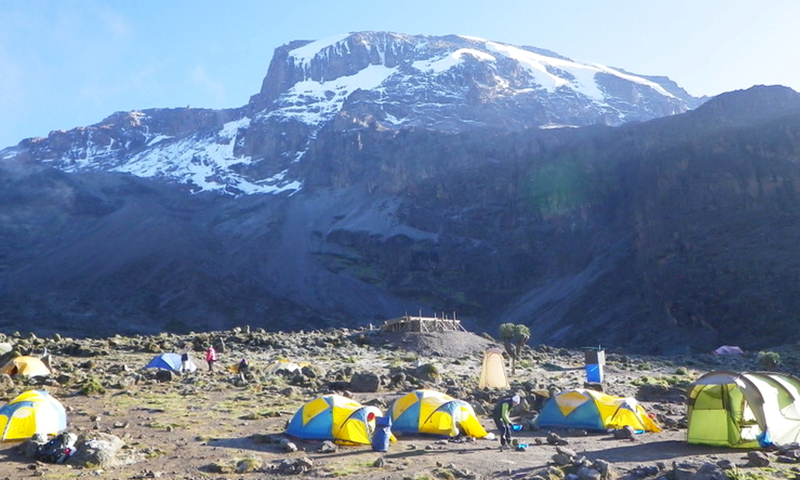 MGI guides are professionals with a strong background in climbing and travel at altitude. They put a premium on guest experiences, making sure your trip is a fun experience while keeping you safe. We hire porters to support all our trips up Kilimanjaro. You’ll need to carry warm layers and rain gear, snacks and water each day, the porters will take care of your tent, additional clothing, and equipment. Porters can carry up to 32 lbs of your equipment. We’ll have a cook with us at each camp. They are excellent chefs and produce a variety of delicious meals. A typical breakfast includes oatmeal and fruit. Lunches are generally sandwiches with an assortment of snacks and a juice pouch. Dinner might be chicken with rice and vegetables or pasta with a side of soup. We are able to accommodate most dietary/allergic considerations in our meals. Please don’t hesitate to contact us with questions about your specific diet. This is just a small list of the most common questions. Please refer to our FAQ by clicking here to see more! 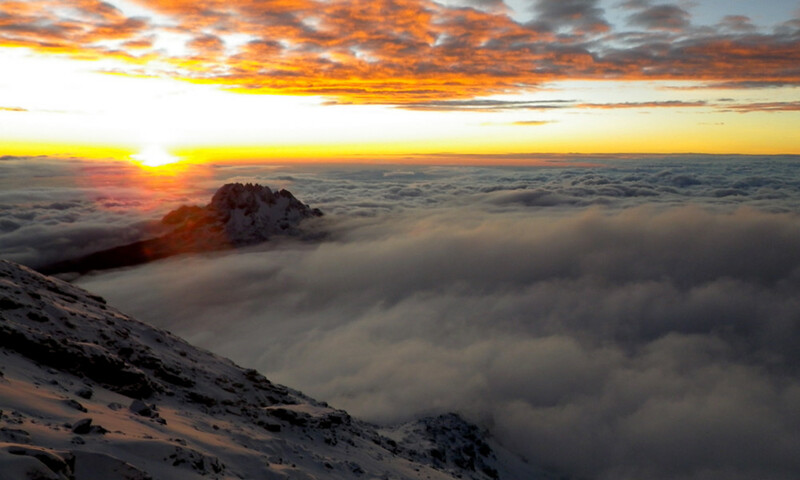 Climb Africa's tallest peak via the Machame Route. 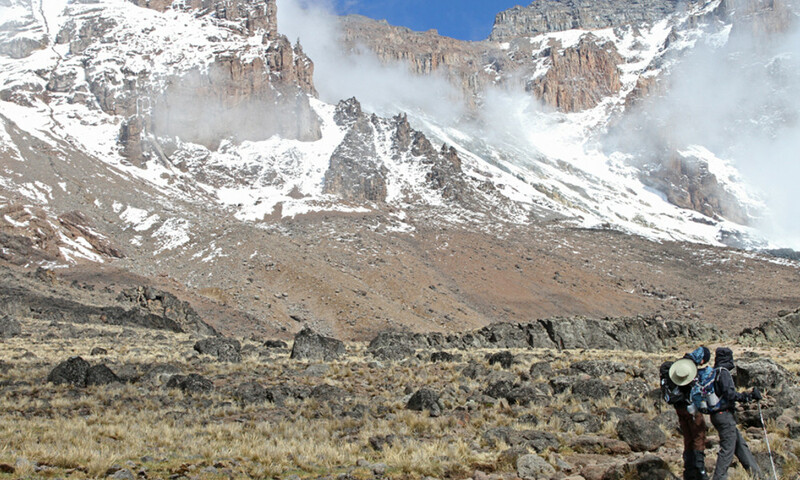 A challenging but popular route with beautiful views of nearby Meru Peak and the impressive Barranco Wall.